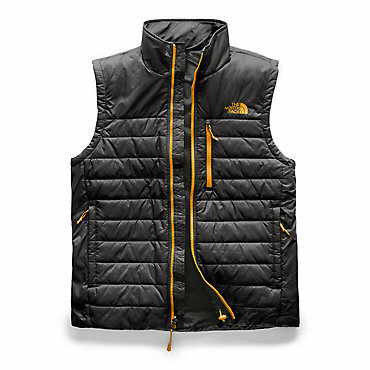 When hell freezes over, whip the insulated Arc'teryx Men's Hades Vest out of your pack for instant warmth. Arc'teryx bonded Consoltex insulation to softshell fabric, so it's not only insanely toasty, it's also super compact. The softshell's two-way stretch moves with you during those multi-pitch trad climbs, and the hem drawcord seals out gusts at the hip level. 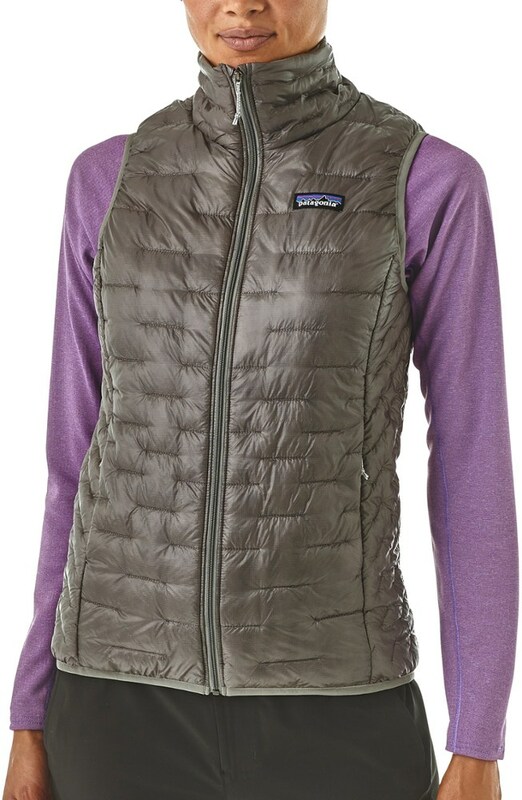 Wear the Hades Vest as a mid layer during mid-winter backcountry ski tours, and wear it unzipped over a tech tee for warmth and wind-resistance during spring hikes. On Sale. Free Shipping. 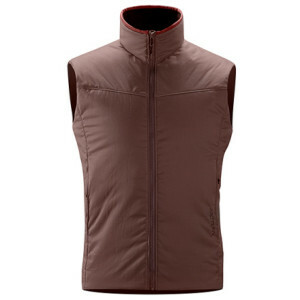 Arcteryx Men's Hades Vest (Spring 2008) The Hades vest by Arcteryx is constructed with Consoltex iS3 Insulated fabric, which is highly wind-resistant to keep the core warm. Specifications: Weight: 315 gm. / 11 oz. (M) Features: Full front zip with chin guard Hem draw cord Reverse coiled front zip Soft brushed lined collar Two internal pockets with laminated zippers Two zippered hand pockets Fabrics: 2.7oz Consoltex iS3 Insulated We are not able to ship Arcteryx products outside the US because of that other thing. 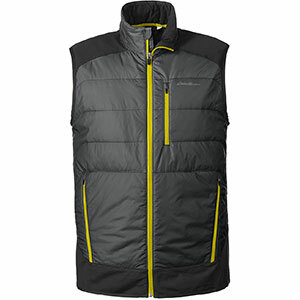 Willing to battle the elements but equally suited for behind-the-scenes duty as an insulating layer, the Arc'teryx Men's Hades Vest is a fantastically versatile piece. 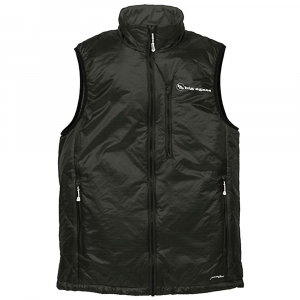 The Consoltex iS3 Insulated fabric is the genesis behind this adaptive vest, bonding a continuous filament stretch insulation to a lightweight, durable material. 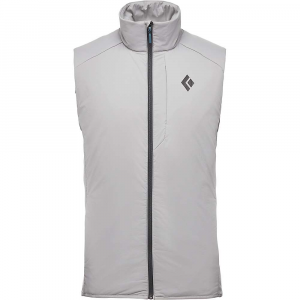 A great option for warming your core during aerobic activity in frigid conditions, the Arc'teryx Hades Vest is breathable, breaks the wind, sheds rain and snow, and provides two-way stretch. The Hades Vest has been discontinued. 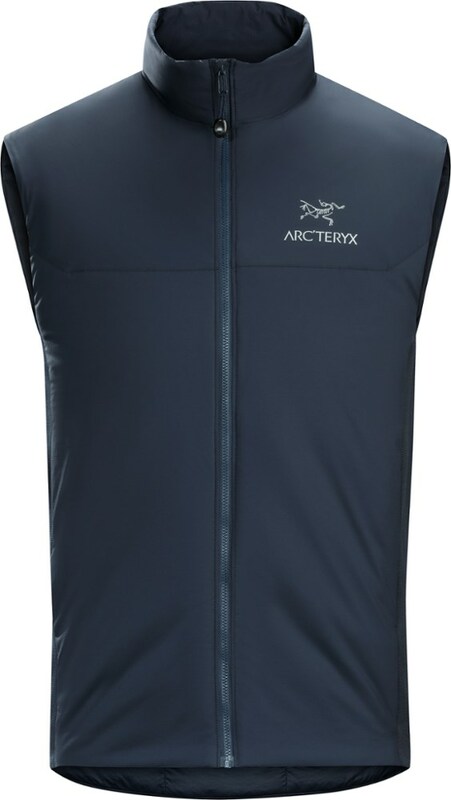 The Arc'teryx Hades Vest is not available from the stores we monitor. It was last seen May 30, 2009	at Backcountry Outlet.